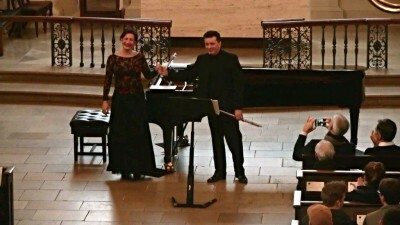 Dejan Gavric (flute) and Maja Rajkovic (piano) perform Beyond at St Martin-in-the-Fields, London. Voyage 1 for piano and electroacoustic sound now travels the world with my great friend and marvelous pianist Fali Pavri . It makes me happy to see that Voyage 1 is now part of the regular repertoire of such a fine musician and pianist. 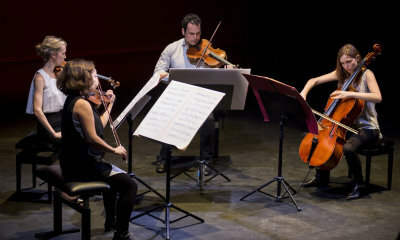 Not many performers are willing to mix contemporary music with the classical repertoire. 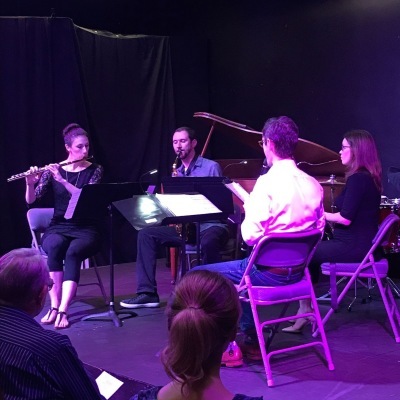 Kudos to Fali for doing this by not just by performing my music, but also those of other contemporary composers! 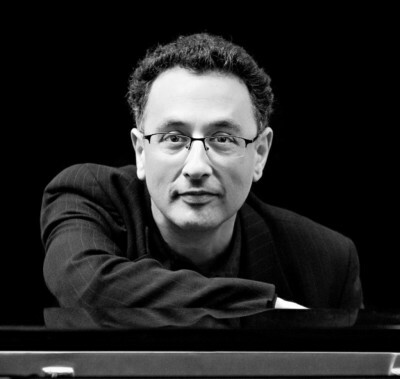 The latest performances of Voyage 1: Steinway Hall in Plano, Texas (Nov., 2016) and Glasgow (Jan., 2017). 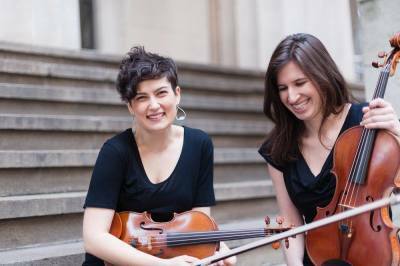 Please come and hear Maya Bennardo, violin, and Hannah Levinson, viola, perform some very new music, including the premiere of my newest piece, Elusive Paths, specially written for them. 7PM, The Garden Theatre, Shorth North Stage, Columbus, OH. 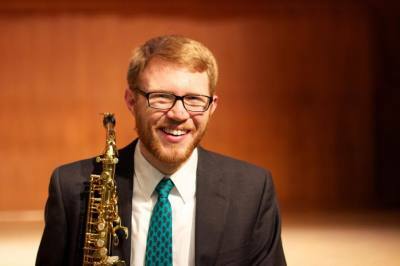 Casey Grev gives the premiere performance of UnCage II for saxophone and 4-channel electroacoustic sound at the OSU Contemporary Music Festival. 8PM, Weigel Hall, The Ohio State University, Columbus, OH.